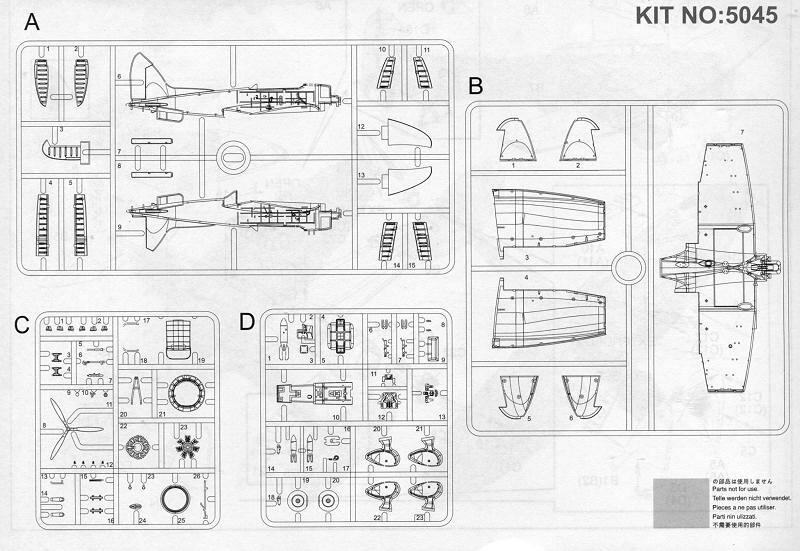 Adding to Cyber-hobby's growing collection of new aircraft kits, many of which seem to have a nautical flavor, is this new one on the D3A1 Val. 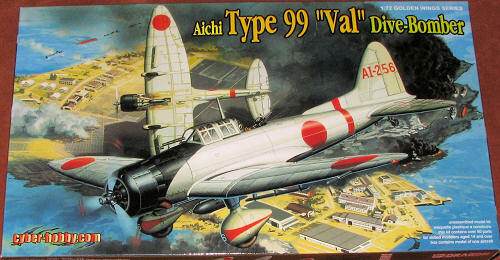 As most know, the Val is famous for being involved in the Pearl Harbor raid. Though it really did not have as huge an impact on the event as did the torpedo planes, it still did its part and is probably the aircraft that provided the coup de grace on the USS Arizona. Instructions are well done and consist of five steps. Gunze and Model Master paints are referenced. There are eight markings options, all from the Pearl Harbor raid. All of the participating aircraft carriers are covered and all aircraft are painted in the same basic scheme of light grey with black noses. 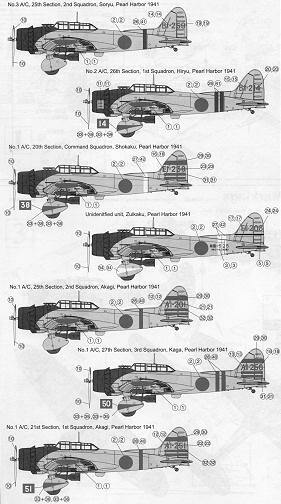 I am not sure if the Val was painted in the Ameiro color of Zeros as the painting instructions just state 'IJN Grey'. 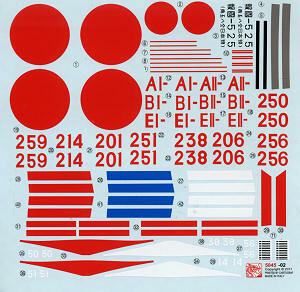 Decals are well done and I have had no issues with Cyber-hobby markings in the past in terms of stick. The red does look a bit on the bright side to me, but perhaps that will tone down once applied. There have been aftermarket sheets available in the past if you want something different. Though the Fujimi kit is still a nice option, this one takes things several steps higher with greater detail and more optional features. It is a kit that I am sure you will like.